Further opportunities for live performative audiovisual work arose in the early 1990s with old friends from Nottingham, ambient music group O Yuki Conjugate, now also based in London. Collaborating on an audio-visual accompaniment to several performances scheduled in the Netherlands in 1992 and 1993 incorporating video and slide projection, as part of the Tegentonen Festival (1992) and The Ambient Weekend, and screened on VPRO TV in Amsterdam in February 1993. My own abstract Super 8 animations were mixed with abstract video footage supplied by Andrew Hulme, accompanied by slides of semi-abstract landscapes to enhance the live performance. In this case their more ambient based music lending itself to a more abstracted approach in creating immersive flowing visual environments to supplement their introspective and static stage presence. Interview with O Yuki Conjugate and live footage of concerts in Holland in 1993 from VPRO Television Amsterdam, followed by some of the footage for live visual performance produced by Andrew Hulme and Nick Cope, edited to the track ‘Long Pig’ from the album Peyote – Multimood Records 1991.
de Vredenburg Concert Hall, Zentrum Theatre, Utrecht, Holland, June 1992. 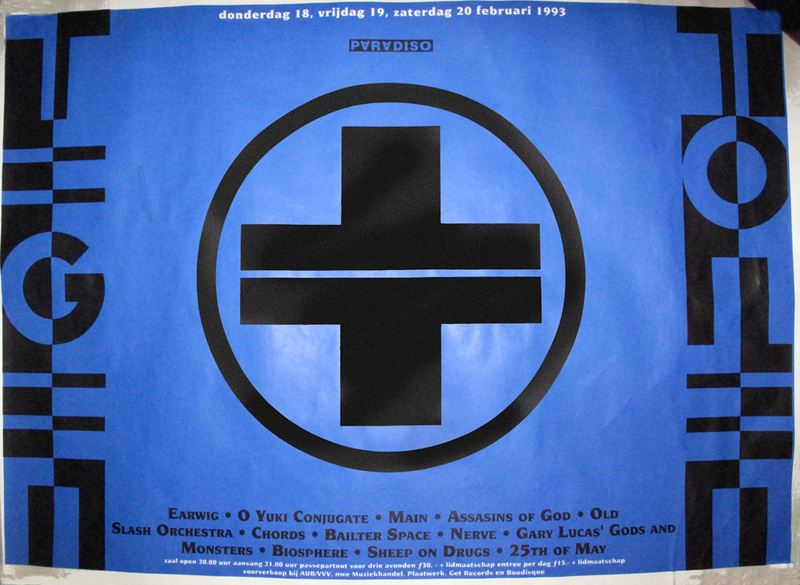 Effenaar, Eindhoven, Holland, February, 1993.